With the exponential growth of e-commerce, and several innovations later, the online payments fraud and credit card security remains to be the primary concern to-date. Looking at a wider spectrum, the security risks are not targeted merely at online payments but also predominantly on offline payment modes—mobile payment inclusive. To bring down the potential threat faced by companies during their customers’ payment transactions, payment security solution providers are developing and offering a large number of technologies with the only motive of making payment secure. General purpose tokenization, EMV technology, and encryption are seen to expand greatly in order to keep credit card safe and secure from hackers and other miscreants. With the growing demands for smarter and more robust security technologies, there is constant pressure on payment security solution providers. 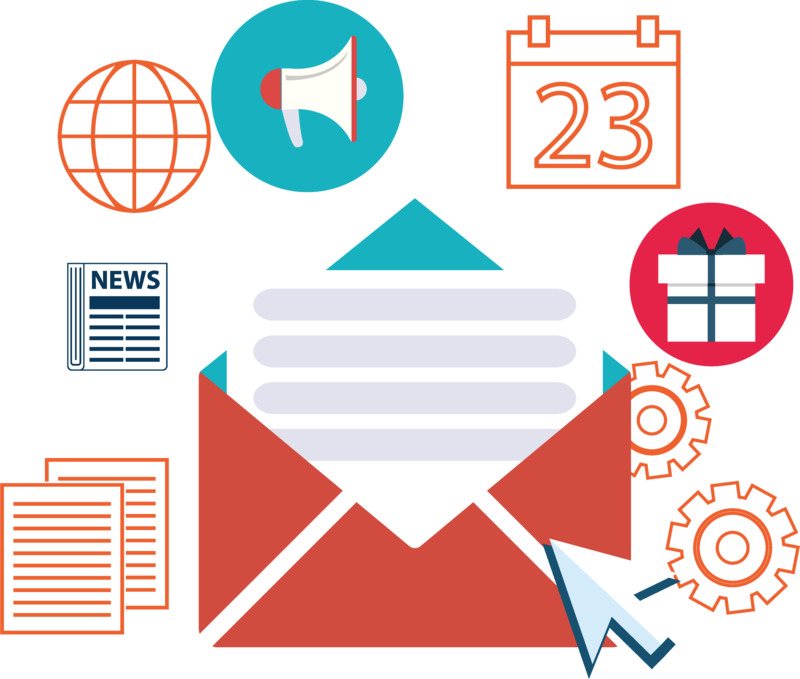 A ubiquitous hunt exists in the lookout for efficient companies who comprehend the grievances, practicalities, and possibilities of the industry to put together an enticing and turn-key service offering. A host of software solutions claims their stake in the payment security market as firewalls, security information, and event management, multi-factor authentication, data encryption amongst others. The prime requisite for consumers and merchants alike is the promise that every line of code instills a high level of integrity and developers are abreast of flaws and shortcomings to incorporate the necessary design modifications for in-depth defense on a futuristic note. Like any other arena, payment security is inundated with myriad solution providers and as a result, zeroing in on the apt one remains an uphill task for a CIO. 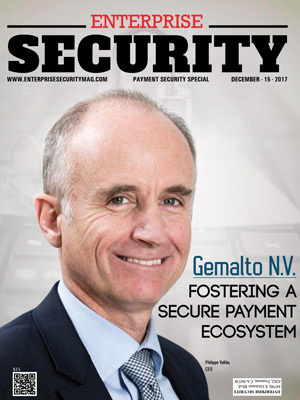 To tread on the right path, Enterprise Security Magazine has become the beacon in the Payment Security landscape. 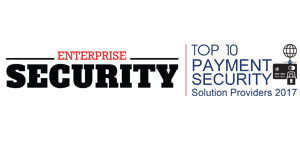 Our distinguished selection panel, comprising CEOs, CIOs, CTOs, industry analysts and the editorial board of Enterprise Security Magazine narrowed the final 10 providers that exhibit competence in delivering Payment Security solutions. Amaryllis is a payment security solution provider that offers a payment platform which imbibes transparency and security into the payment interactions among complex payment models, merchants, and acquirers. The customized and modular solutions solve the particular requirements of companies or third party payment models and provide crucial functionality like split payments, instant boarding, reconciliation, and payment management. The API-driven solution of the company provides quick integration to existing legacy systems, and white label solution enables companies to establish their brand value and control the experience of the customers as desired. The payment engine of Amaryllis has been developed to support omnichannel retail and platform models that support the complex payment needs such as payment management, risk and compliance, and instant boarding. Auric Systems offers a general-purpose tokenization service that can be easily set up to enforce secure transaction practices. Located in Peterborough, the payment security solution company is known for bringing flexibility, security, and simplicity with PCI compliant payment technology. The PCI compliant solution of the company modifies the payment processing needs of the companies from cryptographic key management to tokenized credit card storage, allowing businesses to do massive transactions flexibly, efficiently, and securely. Any Personally Identifiable Information (PII) can be secured using the AuricVault service which is PCI and HIPPA compliant data storage that links secured encrypted data with tokens. The company is a leading payment security solution provider that is proficient in developing PCI compliant software, tokenization, payment applications, and database performance. iControl brings suppliers and retailers together to achieve more transparent partnerships and promote better collaboration through innovative payment and supply chain. The company is one of the foremost payment security solution providers that deliver the technology and competence to retailers to improve Direct Store Delivery (DSD) transparency and association with their vendors. The company synchronizes data between suppliers and retailers by ensuring that requests to update data like item cost and retail, promotional allowances, and new item setups are submitted, approved, and implemented in company’s centralized, collaborative portal. iControl is specialized in complex and regulated categories like alcohol and are experts in processing consignment transactions. Payplaza offers a revolutionary payment platform with unique POS card acceptability solutions. In conjunction with its international Point-of-Sale payment platform, the company has developed an integrated solution for the mobile payment terminals with scanners that are consistent with traditional payment terminal solutions on the same platform with the same partners. Payplaza is an innovative payment security service provider for omnichannel systems. In combination with POS software–or webshops on an iPod or iPhone, the mobile Scan ECR-payment terminal with omnichannel functionality is offered with a uniquely flexible solution. By moving through the shop scanning articles, this solution enables employees to become a mobile sales point by allowing products to be paid on the fly. Payplaza offers a global point-of-sales solution to accept all payment by card present and services of any currency, language, in any country, with the freedom of choice and the lowest total ownership. Bluefin is a leading security platform for payment gateways, processors, and independent software vendors (ISVs) in 29 countries. The safe payment platform of the company is key to a holistic data security approach. Bluefin's PCI-approved Point-to-Point Encryption (P2PE) solutions are designed to complete EMV and tokenization and offer strong safety protection from current and future data breaches. The payment security solution provider supports retail point-of-sale solutions and safe e-commerce technologies for mobile, call center and unattended environments. For its solutions, P2PE decryption as a service (DaaS) and P2PE manager, Bluefin has issued patents in the U.S. and Japan with additional patents pending for device encryption and administration. As an innovator of payment security solutions, Bluefin advocates technological advances and acts as a motive force for educating payment security developments. The company has offices in New York, Chicago, Tulsa, and Waterford, Ireland, with headquarters in Atlanta. CA Technologies is now Broadcom, which is a global innovation, collaboration, and engineering technology leader with over 50 years of excellence. Rooted in Bell Labs, Lucent, and Agilent's rich technical heritage, CA Technologies is geared toward technologies that bring the world together. The company has the size, the scope and the technical talents to lead the industry into the future with the combination of industry leaders like Avago Technologies, LSI, Broadcom Corporation, and Brocade. CA Technologies is one of the leading players in the payment security solution landscape focused on technology leadership. The company implements a flexible 3-D secure program which is powered with advanced neural network models; this helps in minimizing card-not-present fraud losses and enables a seamless online experience for cardholders. Elavon supports businesses, small and large, from e-commerce to mobile wallets and chip card acceptance. The company supports its clients, regardless of if they need a simple or advanced payment solution. Elavon has aided organizations with payments for over 25 years over a million customers worldwide. Flexible, secure, and innovative payment solutions help companies attract and maintain customers, develop relationships with partners, process payments, and facilitate operations. Integrated brand safety solutions are ensuring the smooth and quick processing of all kinds of transactions. The payment security solution company uses its technology to keep its clients’ information safe at all points of the payment cycle. Experts agree that the more efficient way they use to combat fraud can be a layered approach, which is why they offer a range of tools that are easy to use to maintain business safe and secure. Based on its fundamental belief that access to financial services creates opportunity, PayPal is committed to democratizing financial services and empowering individuals and companies to participate and flourish in the world economy. PayPal’s open digital payment system provides confidence for 267 million active account holders, whether they are online, mobile, app, or in person for connection and transactions in new, powerful ways. The payment security solution company finds better ways to manage and move money, offering choice and flexibility in the transmission of payments or receipt of payments through a combination of technological innovation and strategic partnerships. PayPal offers its platform in more than 200 countries worldwide, allowing merchants or consumers to collect money in more than 100 currencies, withdraw balance in 56 currencies, and hold the balance in 25 currencies in their PayPal accounts. There are no boundaries to cybersecurity threats. Each industry is exposed to unique challenges in protecting its data and users and fulfillment mandates while each industry is at risk. Trustwave is a payment security solution provider that helps companies to develop a customized and mature security program to prevent, detect, and react to threats, regardless of which vertical it comes from. Trustwave is a leading provider of cybersecurity and managed security services which help companies to combat cybercrime, protect data, and reduce security risks. The company provides a comprehensive portfolio of management-based security services, security testing, consultation, and cybersecurity training. 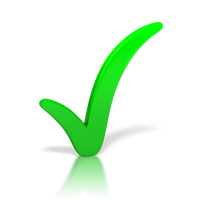 Trustwave has won Trust Awards for the best-managed security services and is known for its outstanding leadership. In all point-of-sale (POS) solutions, Vantiv now known as Worldpay is committed to enabling simple payments. The vision of the payment security solution provider Vantiv is to be the connected business partner for companies worldwide. It simplifies payments by breaking barriers and allows companies to grow faster. Fraud occurs all the time whether online or offline. It is popping up online all over the place with more chip-card activity. However, the protection of Vantiv's e-commerce fraud can make fraud the big loser. The two-pronged approach of Vantiv is a fight against fraud on two fronts. Firstly, the company detects fraud during payment authorization to stop downstream losses and reputational damage. It then proceeds one step further by identifying fraudulent transactions that are confirmed by card issuers to prevent expensive reimbursements.